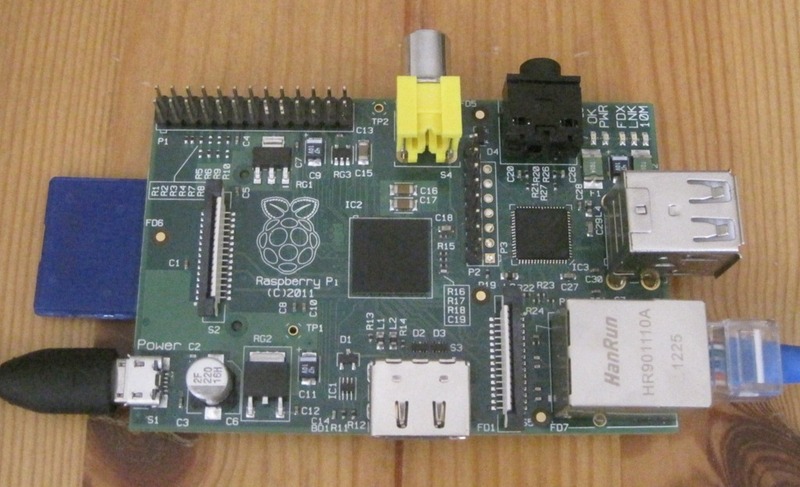 The Raspberry Pi is a small Linux computer that has captured the imagination of the hardware hacking community. If you’ve decided to jump in, this guide will help you get started with the device using Windows 7. The Raspberry Pi boots off of an SD card. 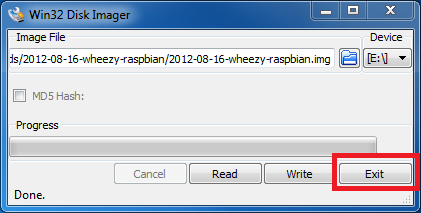 The operating system we will use is Rasbian “wheezy” which is provided by RasberryPi.org. That’s a funny title, isn’t it? My intention is to provide a guide that an alien could use to set up a Raspberry Pi. 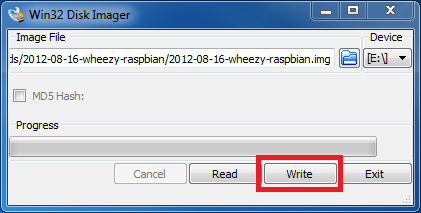 Most guides assume some prior knowledge of computing including this one, but hopefully anyone can follow this and get up and running with the Raspberry Pi. 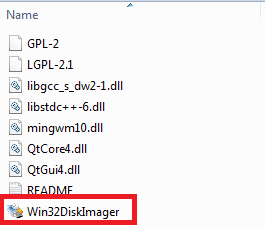 Insert the SD card into the computer – you might use a USB card reader if your computer doesn’t have an SD card reader. You should be prompted with the screen below. 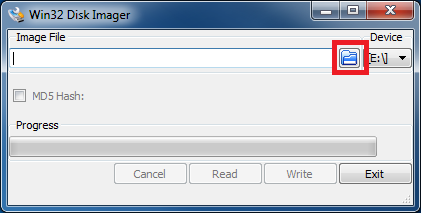 You don’t need to open the folder; instead, note the drive letter that the SD card was assigned and write it down as we will use this later. In my example it is E: If you are prompted to format the SD card choose FAT32. You can close this by hitting the X in the upper right corner. When it’s done it will prompt you. Click “OK” to continue. 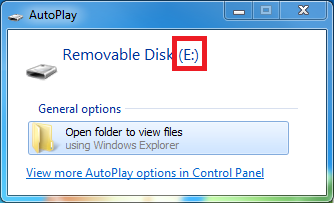 Remove or eject the SD card from the computer. 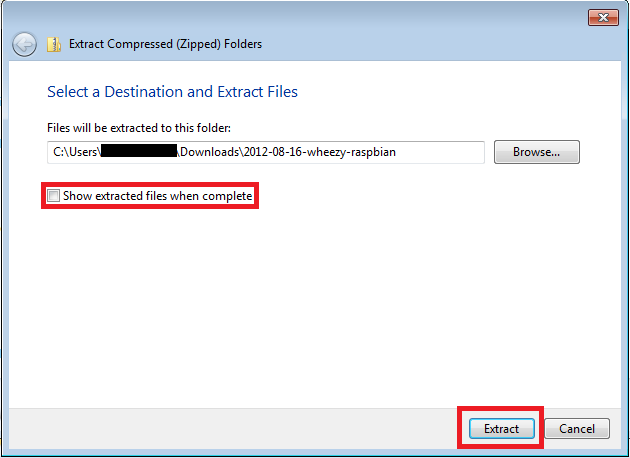 You now have an SD card that has the operating system, Raspbian. Plug in the Ethernet cable into the Raspberry Pi. The other end of the Ethernet cable plugs into your router. 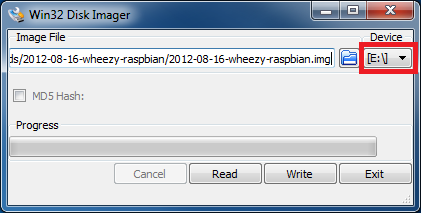 You should now have a Raspberry Pi that can boot into Raspbian. You won’t see any display quite yet, but you could connect a monitor to the HDMI or yellow RCA connector. The username is pi and the password is raspberry. You can also follow my guide on connecting to the Pi remotely using ssh. Happy hacking!